We believe, everyone deserves a good night’s sleep. If you have been into Drees this last Fall and Winter, you may have noticed that we have a mattress displayed on our floor. Many of you have said that you are curious and confused about all the bed options available today. We took your queries to heart, and are having a “how beds are made” day. You will hear from Tom Sarkala, who has been in the home furnishings business for 30 years. He will explain how most beds are made, most importantly, what they are made of (most with polyurethane), and how true quality mattresses are constructed today. He has a vast knowledge of the bed industry, and will share the history and construction of the Royal-Pedic and other true quality mattresses. If you think you may buy another mattress in this lifetime, this class is for you. You will be a more educated consumer. Everything you ever wanted to know about beds! Help us un-decorate the store! We love the Holidays and surprisingly, (or not so surprisingly) part of our fun happens the day after Christmas. 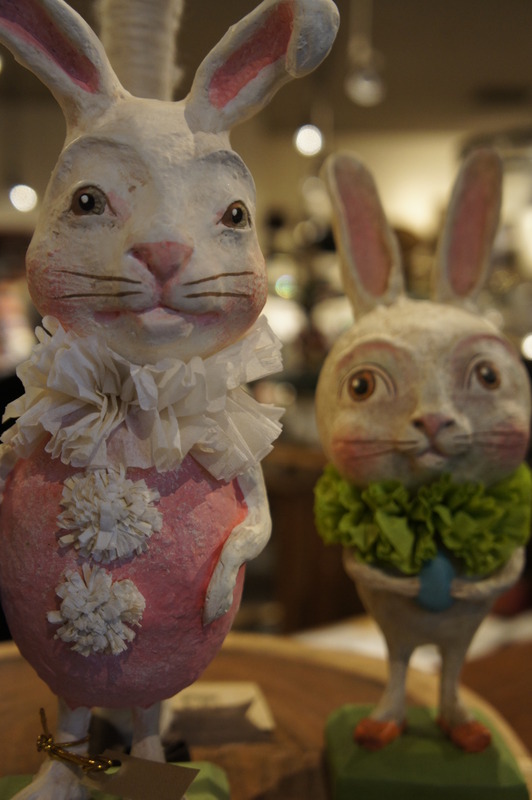 Our friends help us clear of out Holiday decor for new Spring arrivals. If you haven’t ever joined us, it is fun. What’s left is yours at great savings, 30% – 50% off. Starts at 11 am until 5 and then during regular store hours until December 31. A few added surprises every day! Open Wednesday, December 26th at 11am for our After Christmas Sale! As we get ready for the Holidays, I wanted to share a few words about our candles. 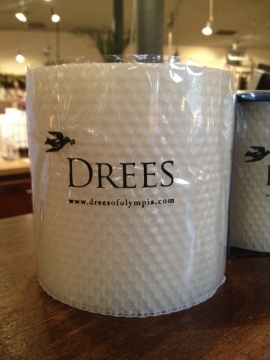 One favorite is Creative Candle, a basic at Drees long before I owned the shop for one very simple reason: their quality. Trained artisans have handcrafted each Creative Candle in small batches for almost 50 years. 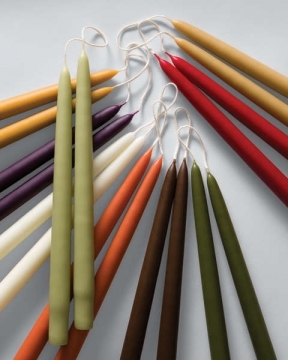 They are made from the finest blend of waxes to create an exceptional-performing candle. Not mass produced, the candles are dripless, and the burn time is close to an hour per inch. The taper sizes range from 6″ to 39.” The 24″ and 30″ are two of our favorite tall candles. We sell mostly ivory because of the luminescence, but we also love the seasonal colors and will special order any of their spectacular colors for you. 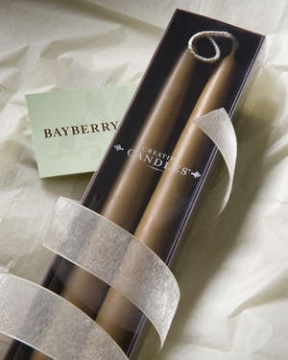 Bayberry Candles are another Drees Holiday favorite, made in limited batches for the season.Traditionally, Bayberry candles given as a gift and burned to the nub on Solstice, Christmas, or New Year’s will bring health, wealth, friends and good luck in the coming year. Bayberry wax comes from boiling the berries and skimming off the precious wax coating. Back by popular demand, our 100% rolled beeswax candles. Taper candles as well as fabulous pillars. We especially love the beeswax votives. We wish all of you a very special Thanksgiving. We will be open at 9 am Friday morning with hot coffee and sweets — for those who are not midnight shoppers, or maybe after midnight shopping! We are celebrating Small Business Saturday on the 24th. Open from 10 – 6. “Downtown for the Holidays” is Sunday the 25th from noon until 5. We’re into our annual Fall and Holiday Shuffle now. 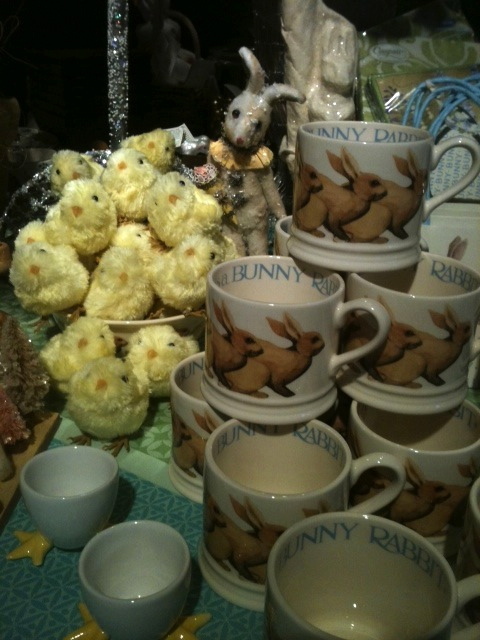 Great gifts for you and others bulging out the back room; a very busy time. We have set dates for some enticing events you will want to get on to your calendar. We’re starting a new group of evening events. We”ll be sharing information about of favorite products with refreshments and good times with friends. Thursday , September 27th, from 1 – 7 pm, we will be having our first Peacock Alley Trunk Show. We will show a complete new bedding ensemble on our all natural RoyalPedic mattress, and help you with wonderful bedding selections. Our favorite “linen” teacher, Lynn Sultemeier will guide us through all the bedding options. We will be sending out more reminders so be sure to sign up for our mailing list for details. Fun day, refreshments, 20% saving on orders. Bedding samples will be with us through Sunday, September 30th. Friday, October 5th is ArtsWalk in downtown Olympia. 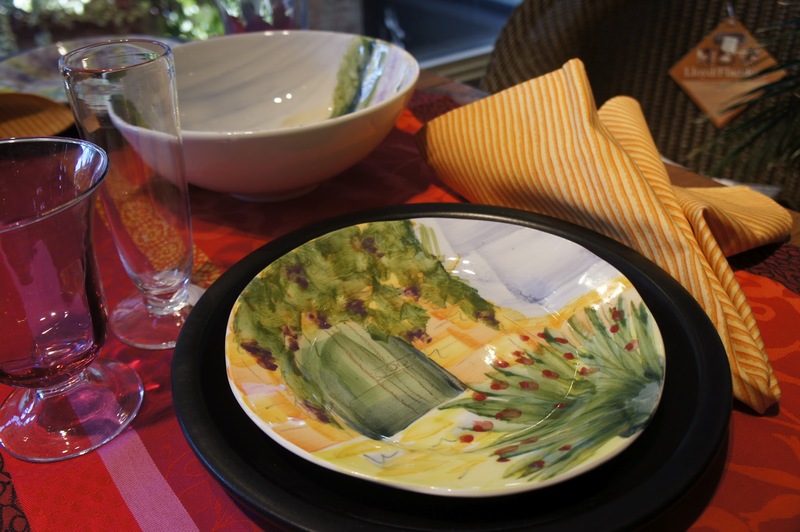 This Fall we will be hosting artists Sally Reichlin and Shelley Carr. A lovely evening event to get out and see all that our downtown has to offer. Art will be at the shop Saturday as well. 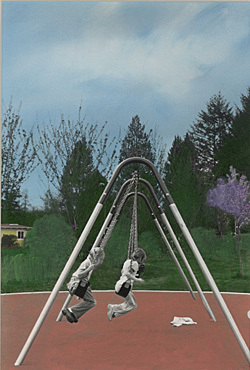 Friday ArtsWalk hours 5 -9, Saturday 10 – 6. 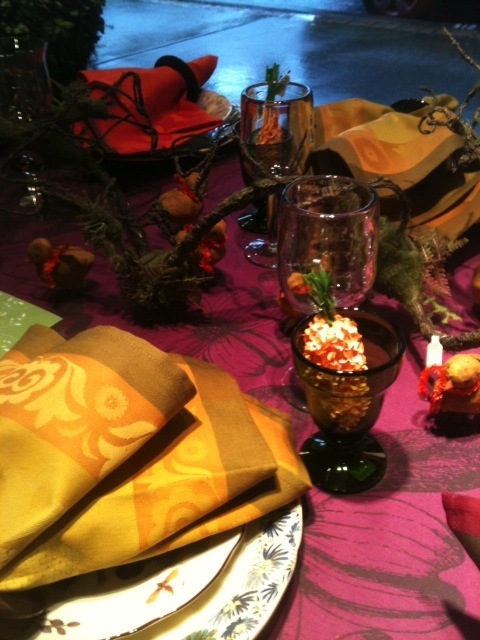 Saturday, October 27th, from 12-6 pm, we will have our Le Jacquard Francais Table linen event. 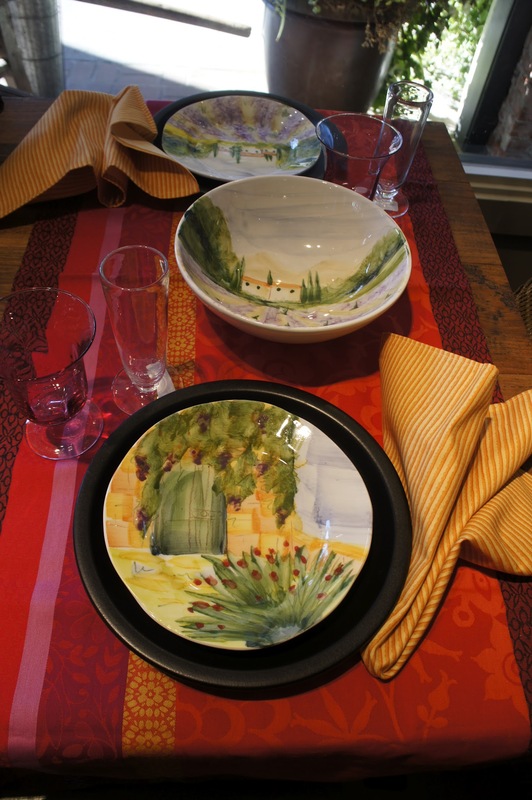 We invite you to bring in your plate and table sizes for a fun evening wardrobing your table for the Holidays. Refreshments, of course! Linen samples will be with us through the weekend. Summer cometh after the 4th of July! In the Pacific Northwest we have come to know July as our first Summer month. This year has been no exception, but we all know why we live here. When our Summer sun finally arrives, the Northwest is one of the most glorious places on earth. We run our Lloyd Flanders Outdoor Wicker Sale during the month of July. Take 25% off all Special Orders through July 31st. Why do we love wicker from Lloyd Flanders? The company is over 100 years old and made in the USA. We love the comfort, the earnest style, the quick-dry fill, and the new options with finishes and fabrics. Shown here with Paul, is one of our favorite frames in the Driftwood finish. Lloyd Flanders does have some very contemporary offerings as well. Come in and check them out; three great fabric books to choose fabric options, and 17 finishes. Back to Summer in the Northwest . . . . May it be your best ever! Let’s all enjoy the Sun. We’re busy at Drees; we have one eye on Father’s Day weekend, and one eye on our annual Summer Sale which starts next Friday, June 22nd. We’re switching it up a bit this year, and I think you will have a great time with some surprise sale items. 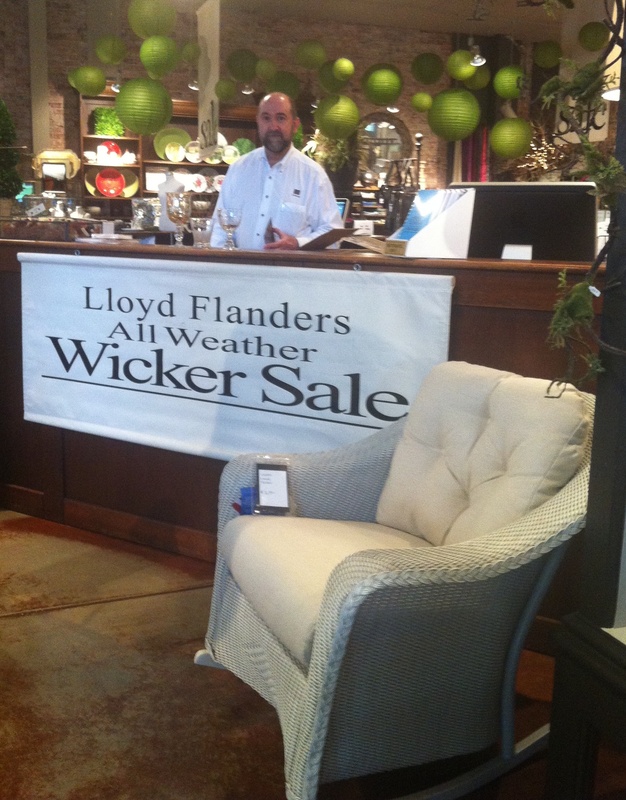 In addition to our “SALE” tables, we are offering 25% off Lloyd Flanders outdoor wicker special orders, 25% off all special order pillows, and 20% off all in stock lamps through July. 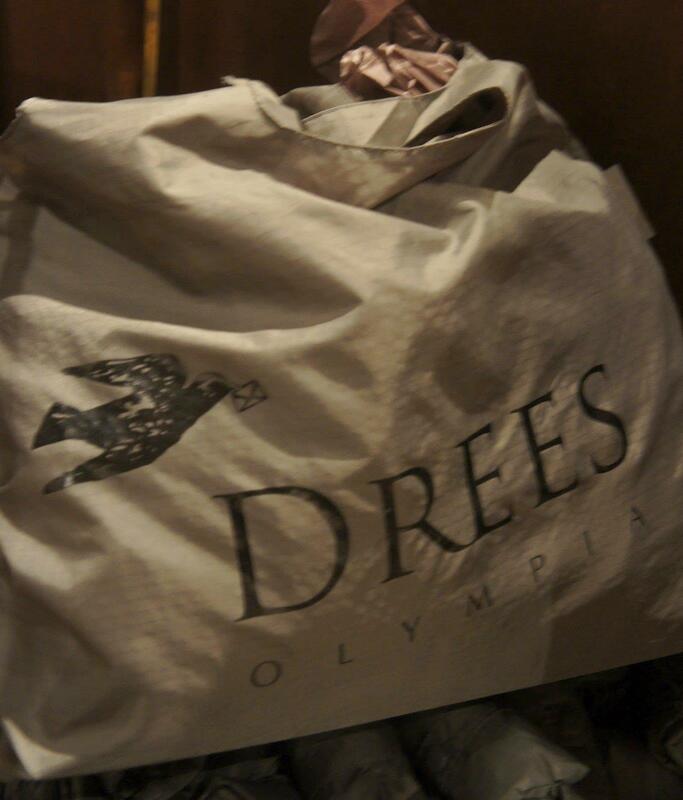 One more thing, “Sale” item purchases over $100 will receive our Drees shopping bag. Save the dates; get this on your calendar! It’s a tradition at Drees to enjoy Mother’s Day weekend with a special celebration. We start with delicious refreshments and samplings of our new gourmet foods. We will be introducing a lemon-infused shortbread, as well as our favorite artichoke with truffle oil tapenade, and a few other surprises. This year our theme is “mothers and daughters.” When you bring your mother, (or your daughter) you will have a chance to win one of our five $75 Drees gift certificates. We will be recognizing, with special discounts, our favorite companies with mother-daughter participation . . . Linnea’s Lights, Avindy Jewelry, and Rosanna. As always, enjoy selecting one great gift for you or your mom at 20% savings. Beautiful packaging for mom and we do ship throughout the USA. Mark you calendars and watch for our list of Favorite Gifts for Mom 2012. Join us at our Mother’s Day Garden Party, Friday, May 11, and Saturday, May 12. Look forward to seeing you! 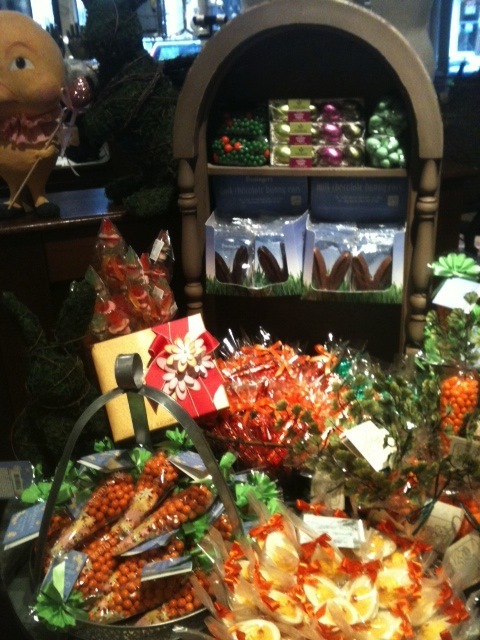 Easter is just around the corner; it’s time to start planning your celebration! Drees has special decorations and touches to help you create a memorable day. Whether you prefer a casual brunch with friends or a formal family dinner, we can help you. 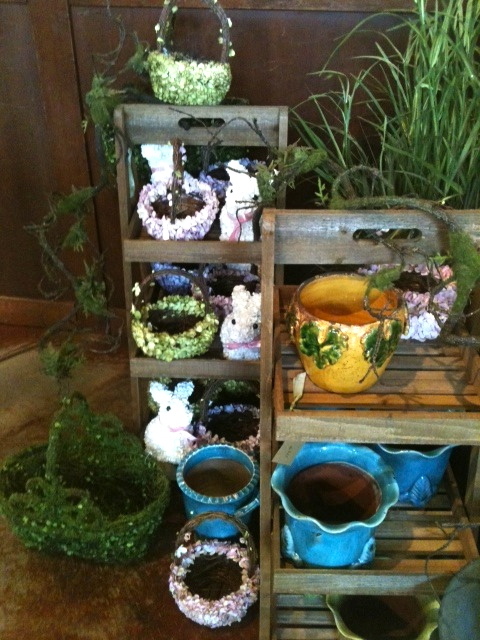 Drees is ready for Easter! Are you? 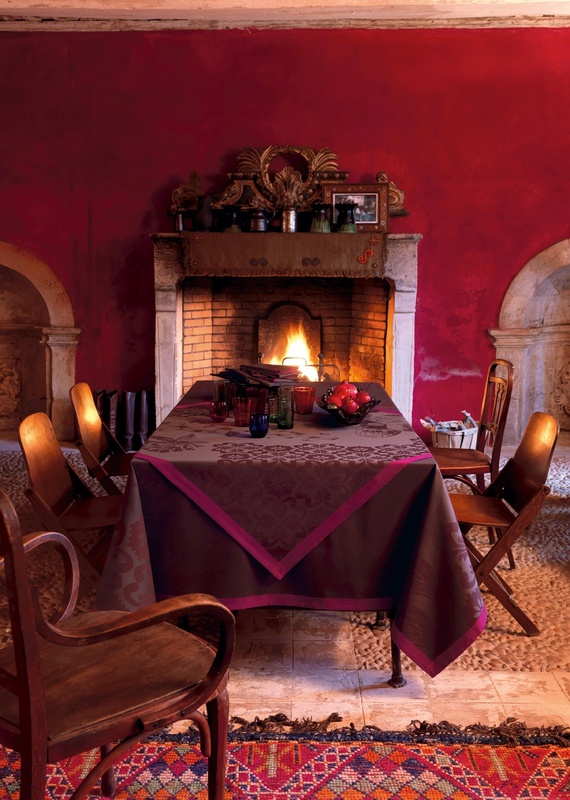 Le Jacquard Francais is the quintessential French linens brand. We have carried it for years and we love it. Their colors, patterns and quality are unmatched. Twice a year, Spring and Fall, they come out with a great new collection. This season, I am especially excited about their coated tablecloths, great for al fresco dining. 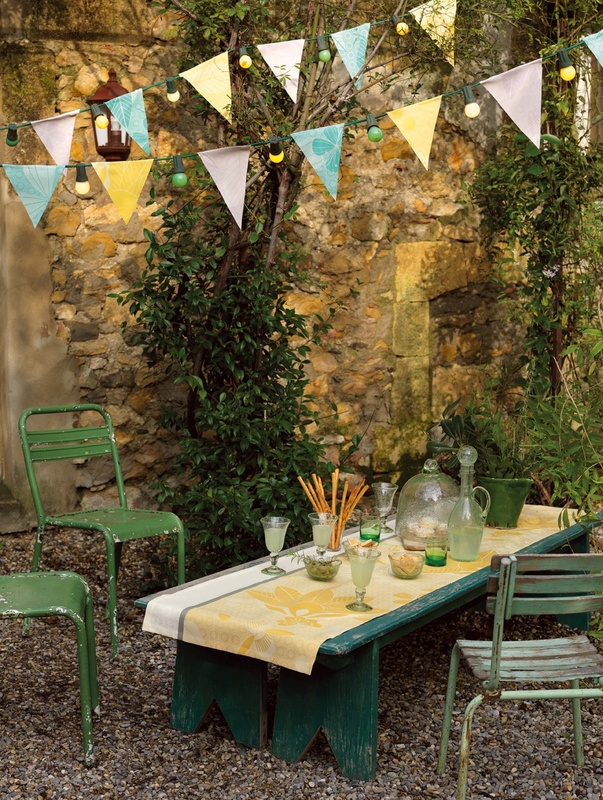 Our rep, Lynn Sultemeier, from Le Jacquard Francais, will be at Drees this Friday, March 2, from 2 – 8 pm for a special Trunk Show featuring all the new French linens for Spring 2012. Le Jacquard Francais is offering 15 percent savings on orders placed during the Trunk Show weekend. We will have samples throughout the weekend for you to enjoy. Once you experience Le Jacquard Francais you will see the difference and understand what I am talking about! They are beautiful and last for years. 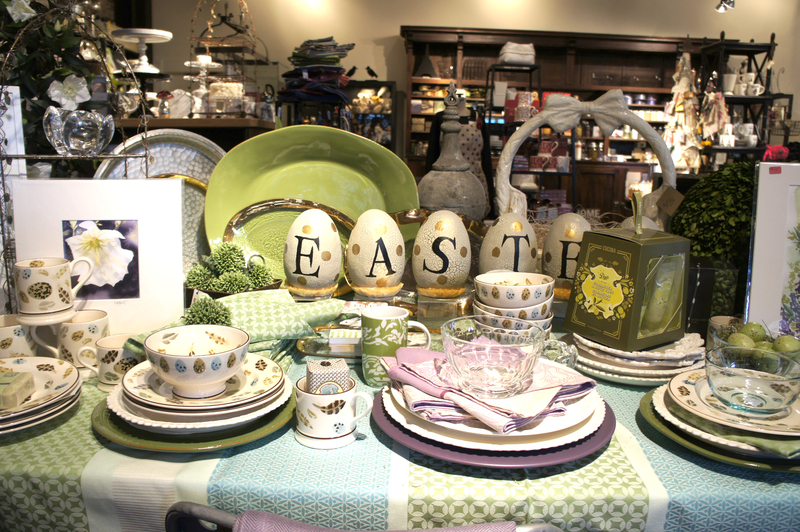 During the Trunk Show weekend, bring in an everyday plate or a special piece of China and we will help you style your table for Spring with linens, glassware and other accessories. 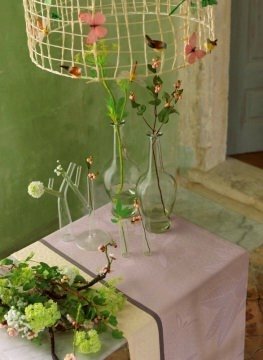 I believe your tabletop can be an expression of your unique style and values, much like your wardrobe. That is why I don’t believe in a one-size-fits all approach to tabletops and entertaining. I want you to love your home and welcoming people to your table…. every day. 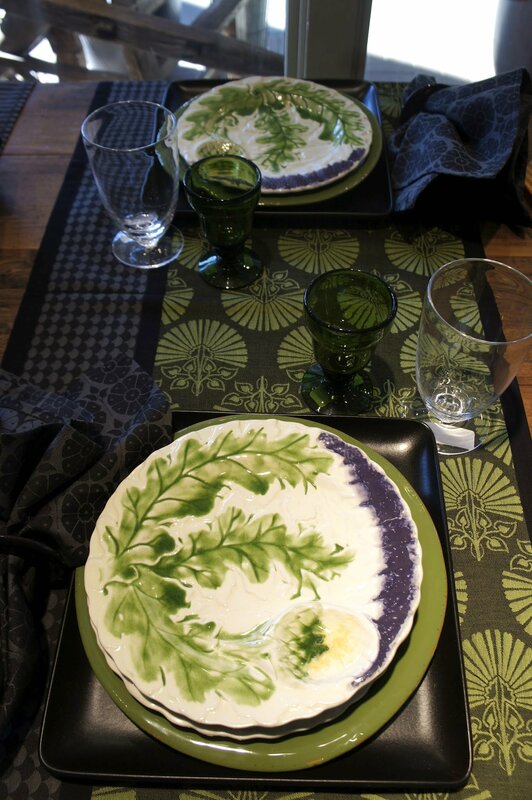 Let us be your personal stylist for your tabletop! 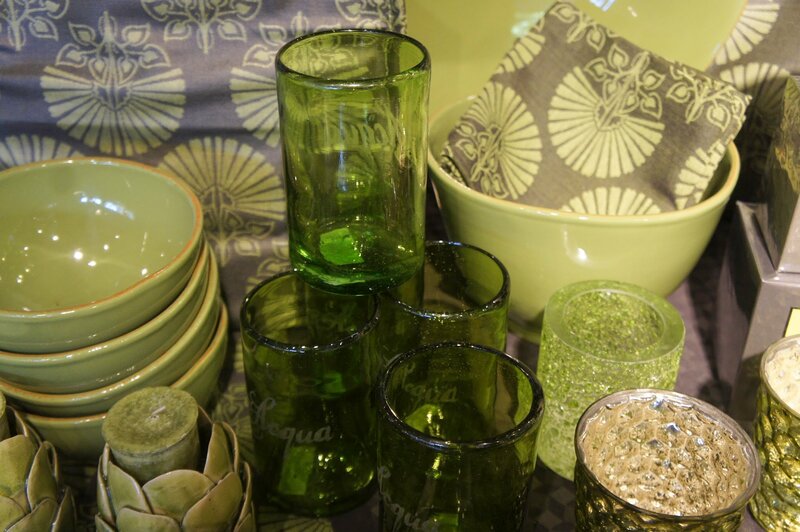 Here I share some examples of the “Drees approach” to mixing and matching dishes, linens, glassware and accessories. 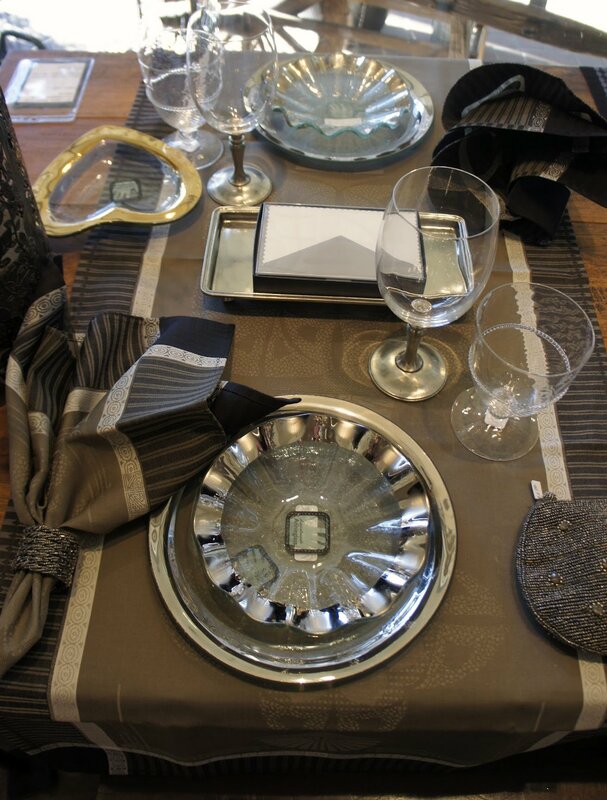 Don’t forget – bring in your plate during our Trunk Show weekend (March 2-3) and you will be entered in a drawing for a $100 gift of Le Jacquard Francais Table Linens. Valentine’s Day is one of my favorite holidays. Truly… it’s the sweetest holiday. We’ve survived and hopefully enjoyed the “big holidays” and now we have time and space for some quality time with friends and loved ones. I think of it as the time of year to catch our breath and build energy for the year ahead. I start my search for “everything Valentines” at the summer gift markets. I look for special “gems” that I know you will love. It’s a holiday I buy for all year around. I love it! Right now the shop is alive with sweet gifts, décor, cards, edibles – and lots of RED – just for you and the people you want to remember this Valentine’s Day. Here I share some of my Valentine’s favorites with you. Godiva’s red satin collectible heart boxes (filled with their fabulous chocolates) have been a Valentine’s Day tradition for over 85 years. 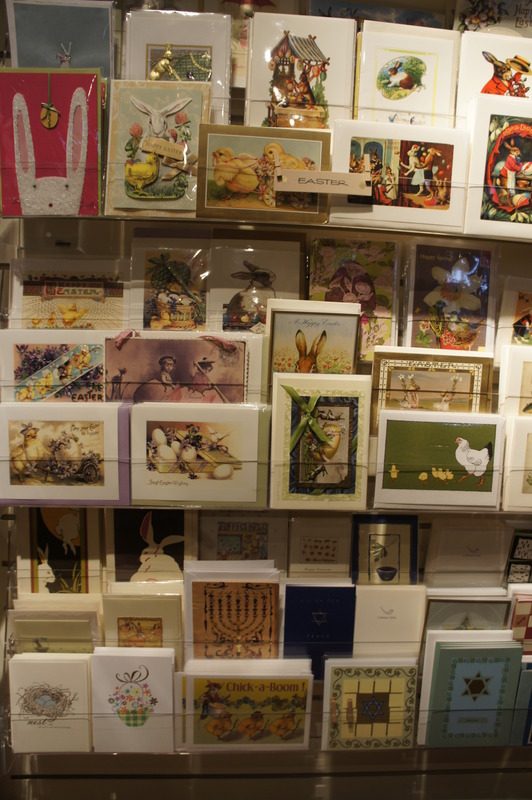 We have 12 different years’ boxes on display at Drees… truly a sweet tradition. Don’t forget, February 14, is Valentine’s Day…. Wishing you and your dearest a very sweet day!